The Pilgrimgram: Correcting What is NOT Being Said? Correcting What is NOT Being Said? It is clear that there is a fair bit of new revelation in the air nowadays; God is revealing new truths, and new application of old truths. Anytime that happens, the enemy likes to fill the air with smoke in order to confuse God’s people. 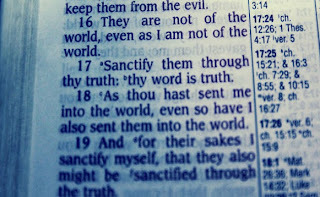 Discernment is needed: we must eat the meat & spit out the bones; we must reject revelation that is outside of “Spirit & truth,” remembering “Thy word is truth.” Godly discernment and the Bible are the standards by which we discern truth. I’m seeing correcting what people are not saying, or at least what people mean to not say. Someone declares a revelation which is not entirely familiar. That revelation reminds a listener (or a reader) of something else, something uncomfortable or something false. Perhaps they encountered this revelation with an error in the past, or perhaps it’s just similarity. For example, the revelation that we are “saved by faith” often triggers “license to sin” warning lights, even though the person preaching salvation by faith has not promoted a license to sin. As a result, we argue against the something false (in this example, against a license to sin) even though it is not the revelation that was being presented. ü the original revelation (in this example: that we are saved by faith) is lost in the confusion. ü the one who brought the original revelation may become confused, discouraged, or frustrated. ü an opportunity to expand the Kingdom is missed. ü we as a community are less willing to consider new revelation, concerned that it will confuse/offend some, or for fear that they’ll be persecuted for it. ü relationships in the Kingdom experience unnecessary stress. In other words, there is really nothing good that comes from arguing with what people have not said. One of the listeners (or readers) immediately notices that it is possible to take this truth too far. So they immediately post their warnings about the truth. As a result, people’s attention is taken away from the truth of the revelation (for example, “salvation comes through faith, not works,”) and focused on irrelevant details (“Yes but you MUST pray the sinner’s prayer or it doesn’t count” or some such). Frankly, these processes are often a real clear example of manipulation and control: they’re an attempt to draw attention to ourselves, instead of the person with the revelation, or the Spirit who gave them that revelation. Or they’re the result of believing a lie: “The Holy Spirit needs ME to correct people, or else they’ll fall into error!” That’s rather a problem. In a public conversation, there is no good thing that comes from correcting an imaginary error in a friend. Of course, the recommendation is to listen to what the other guy is saying, and then maybe even listen to what Holy Spirit is saying before shooting our mouths off. There is real heresy out there. 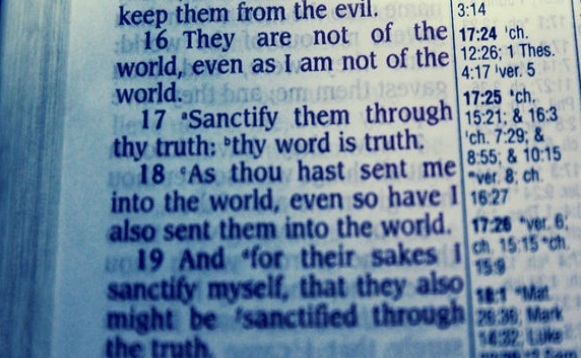 For example, some people are promoting grace to the point of throwing out some of the authority of scripture. It really is happening, and it needs to be opposed in the places it is happening. It does NOT need to be opposed whenever someone says something similar to what those people are saying: that would be correcting what people are not saying, and that would not be helpful.